After crushing the box office in 2014, the unlikely team of “Guardians” will reassemble in 2017 for Guardians of the Galaxy Vol 2. 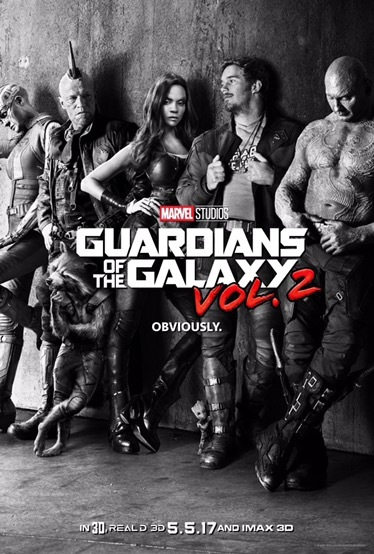 Director, James Gunn, took to his Instagram to unveil the new black & white teaser poster, which sees all the Guardians along with Yondu (Michael Rooker) and Nebula (Karen Gillan ) posing against a wall. In case, you’re wondering where Groot is, look by Star-Lord‘s leg. Along with the poster, Marvel Studios released the first teaser trailer for the film.